Olive Oil is most widely used oil in cooking which is pressed from fresh olives. It is mainly made in the Mediterranean area, primarily in Italy, Spain and Greece. It’s naturally free of cholesterol, trans fat, salt, sugar, and gluten. In addition, olive oil is rich in monounsaturated fat. According to medical experts, these essential properties give olive oil health benefits. It helps protect against heart disease, aids in digestion, and has been known to promote healthy aging. Promote healthy eating habits for you and your family by making olive oil a delicious, nutritious addition to your diet. The main type of fat found in all kinds of olive oil is monounsaturated fatty acids (MUFAs). MUFAs are actually considered a healthy dietary fat. Factors Affecting Taste of Olive Oil. 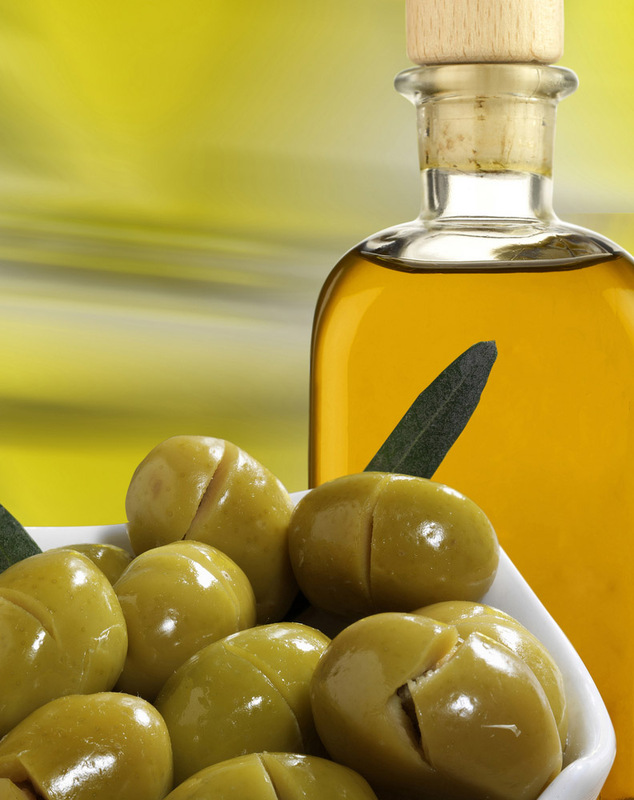 Spanish olive oil is typically golden yellow with a fruity, nutty flavor. Spain produces about 45 percent of the world’s olive supply. Italian olive oil is often dark green and has an herbal aroma and a grassy flavor. Italy grows about 20 percent of the world’s olives. Greek olive oil packs a strong flavor and aroma and tends to be green. Greece produces about 13 percent of the world’s olive supply. Virgin Olive Oil. Virgin Olive Oil which has a free acidity of not more than 2.0% (2 grams per 100 grams expressed as oleic acid) and the other characteristics which correspond to the extra virgin category. Pure Olive Oil or Olive Oil. Oils labelled as Pure Olive Oil or Olive Oil are usually a blend of refined and virgin production oils. This is obtained by refining virgin Olive Oils that have a high acidity level and/or organoleptic defects that are eliminated after refining. No solvents have been used to extract the oil but it has been refined with the use of charcoal and other chemical and physical filters. Olive Pomace Oil. Olive pomace oil” is made from the olive paste that is left in the centrifuge after the olives are pressed and the oil-water mixture is extracted. Olive pomace oil can be treated with heat and chemicals to extract additional oil. It is considered an inferior grade. Excessively heating olive oil will evaporate the alcohols and esters that make up its delicate taste and fragrance. Use a less expensive olive oil that doesn’t have much flavor to begin with if you want to fry with it, add a more flavorful olive oil after cooking or at the table.